One of the crucial parts around Christmas is the seasonal specials, and at Camden Market we won’t disappoint. These festive treasures will bring Yuletide cheer to your ever-expanding belly. From heart-warming beverages to cheese-dipped pigs in blankets, you’ll find an abundance to choose from! 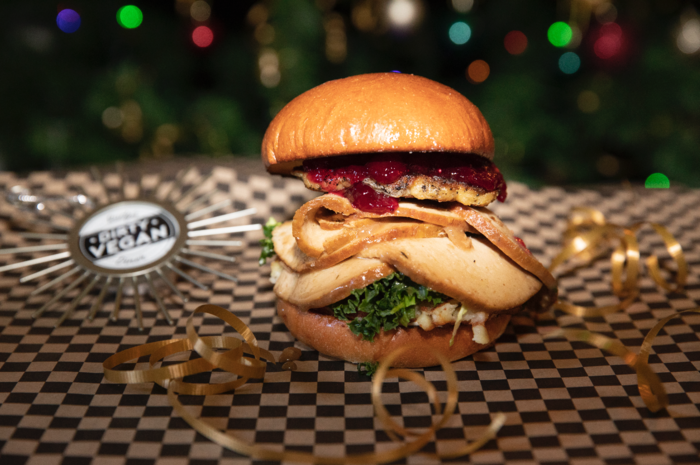 For the veganites out there, head down to Rudy’s Dirty Vegan Diner in the North Yard for your Crimbo cravings, American style with their Triple Ho Burger; grilled turkey patty and all the trimmings you can find. Those desiring a British classic, can find a Christmas dinner within a pie at Young Vegans, aka Santa’s Little Gobbler: stuffed with turkey, chestnut and sage stuff with leeks, a white wine sauce, plus optional cranberry sauce on the side. Foodies seeking merriment in hoards can take a wander down to The Cheese Bar in North Yard. 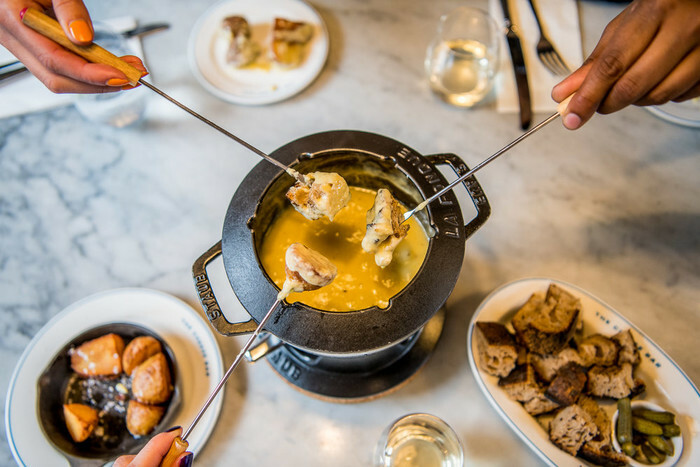 Introducing their Fondue Thursdays again from November until February can dip and dine from their Fondue Feasting Menu; a selection of sides includes pigs in blankets and oozing cheese = win win! Check out their menu or if you already know you need fondue in your life book here. 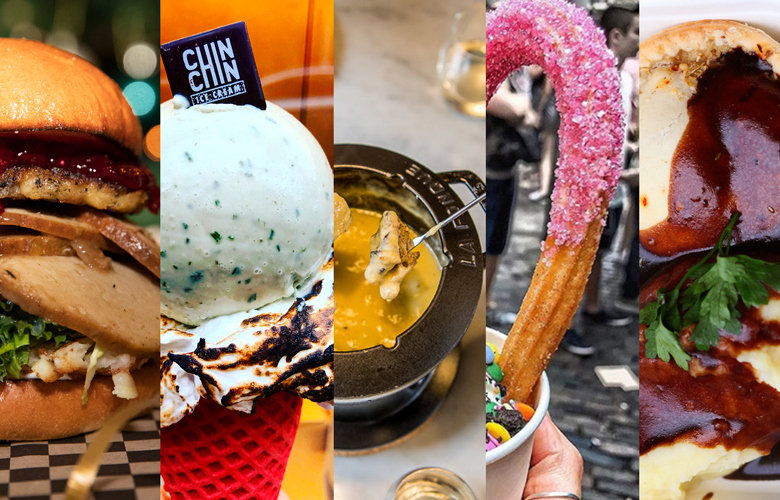 If you’ve got a hankering for the sweeter things in life, you can add some sparkle with La Churreria’s infamous Glitter Churros. 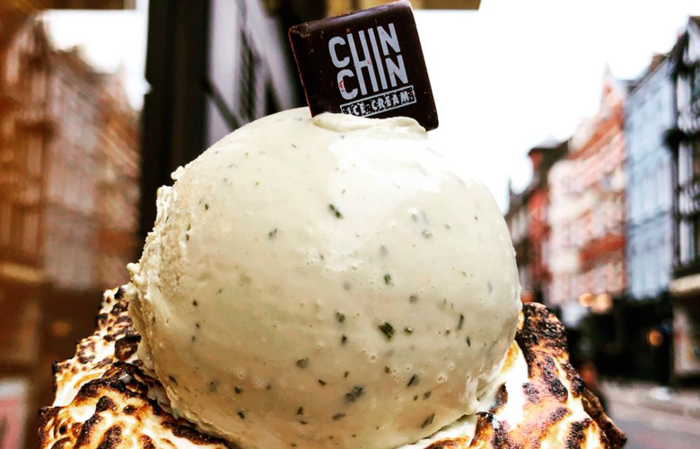 Or pop into Chin Chin Labs for their elusive Christmas Tree Ice Cream: it’s said to taste exactly like the Christmas decoration, but they’re careful not to reveal the secret ingredients. We're sure you're salvating (so are we), so why not take a peek at the rest of our Christmas Takeover or for your little elves why not book in tickets to see Father Christmas at our Gingerbread Workshop and Grotto, ho ho ho don't forget #MERRYCAMDEN!